Opportunities to join the biggest digital revolution in government are not just for people with a technical background. If you’re looking for a new challenge it doesn’t matter what age you are or what your previous experience is. Hi I’m Jonathan Ford, VAT Tax Specialist. I’ve just been to an open day in HMRC’s digital centre in Worthing, to find out more about what they do and what job opportunities they’re offering. And I found it a real eye-opener in many ways. The first big surprise was that many of the jobs in HMRC’s Digital Service don’t call for specialist IT skills. A user researcher, for example, does a job that to me is like market research mixed with psychology. 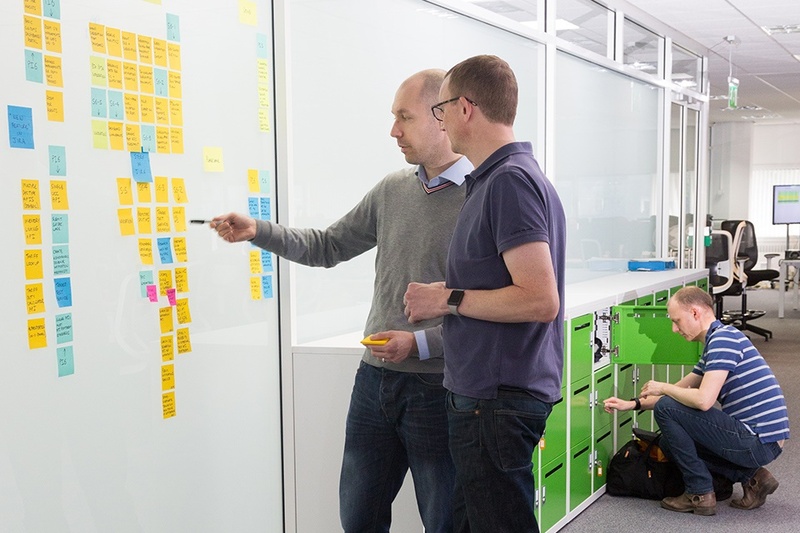 They go out and talk to customers about what sort of services they need and bring back valuable information that helps the team to design services to fit. And a ‘scrum master’ seems to be much like a facilitator with some technical appreciation, who makes sure that everyone in the team knows what they need to be doing and helps make sure they pull together. Most of the other roles too, even those with job titles like business analyst, do not apparently require coding expertise. What came across strongly was that they’re looking for people with generic abilities. People who are independent, self-motivated and self-reliant, as well as open-minded and looking to learn new things. People who care about how technology can help our users to do business with us quickly and easily. Enthusiasm is just as important as specific experience. The presenters also stressed the need for flexibility and the ability to adapt to new situations. So if you’re looking for a challenge they’d love to hear from you. Each project team typically has about 10 people, each with a different role. While you might sometimes get, say, two user researchers on the same team, in most cases you are the only one doing your particular job so you need to be self-motivated. Each role also has an associated profession and these cross centre professions help to develop capability and provide support. I suppose I had preconceived ideas about what sort of place a digital centre might be like to work in. I‘d imagined a very ‘geeky’ atmosphere, with shy people interacting more with their computers than with each other. But the reverse was true. It was clearly a busy place, but full of outgoing characters having animated, mutually supportive conversations, usually around whiteboards with lots of Post-its. People’s enthusiasm for what they and each other were doing really shone through – it was a real breath of fresh air. I gathered that the office has a good social life too! There are some specialist roles – developers, whose job it is to write the code that turns the design into a service that works. But for those who don’t already have those skills HMRC offers professional training as well as apprenticeships to enable them to learn and get specialist qualifications. With an 18-month apprenticeship you can end up with an A-level, while the four-year option can result in the award of a degree. While most of the people I saw were quite young, they were all keen to stress that all ages are welcome. I spoke to one colleague who had joined in his 40s from a background in tax and was now doing a four-year apprenticeship. 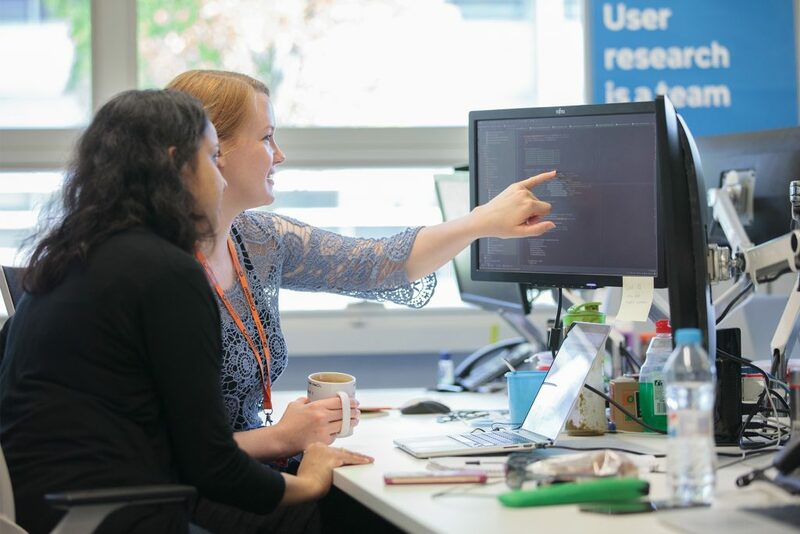 New roles are being advertised every week, so whether you’re a techie or not, and looking for a new job, it’s worth considering a move to HMRC digital.